DIRECT OCEANFRONT. Welcome Home! 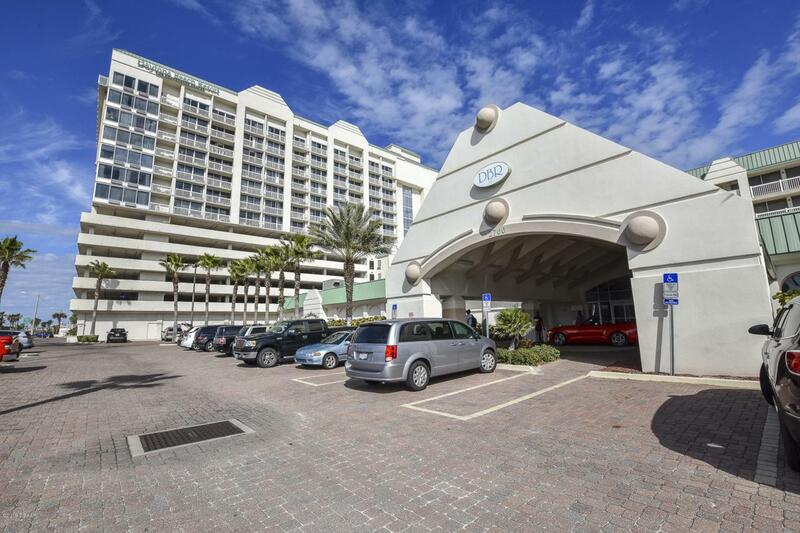 Own this spectacular 9th floor oceanfront studio located at Daytona Beach Resort, in the heart of Daytona Beach, on the Atlantic Ocean! This unit comes furnished and turnkey for the new owner or investor. Furnishing includes a queen size bed, 2 full-size sleeper sofa, a dinning table, dresser, and a flat screen TV. The kitchen has a cooktop, full size refrigerator, microwave and coffee maker. The location couldn't be more ideal with its close proximity to a large Publix shopping center, Walgreens, locals and tourists favorite oceanfront eateries, dog parks, deep-sea fishing charter services, restaurants and more!Daytona Beach Resort amenities include an indoor heated pool, sauna, jacuzzi, oceanfront pool, state-of-the art fitness center, bar/restaurant, Tiki Bar, kiddie pool, internet cafe/business center and more! For investors you have the option to use the onsite rental program, rent it on your own, or simply keep it as your oceanfront vacation home away from home! Listing courtesy of Martin Gegaj of Oceans Luxury Realty Full Service Llc.